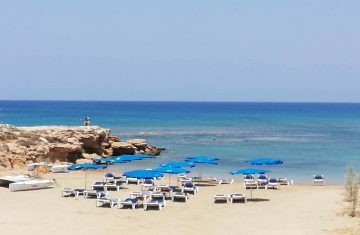 When summer holiday madness begins in Cyprus, it’s often a little hard to carve out a space to call your own on the island’s golden shores. 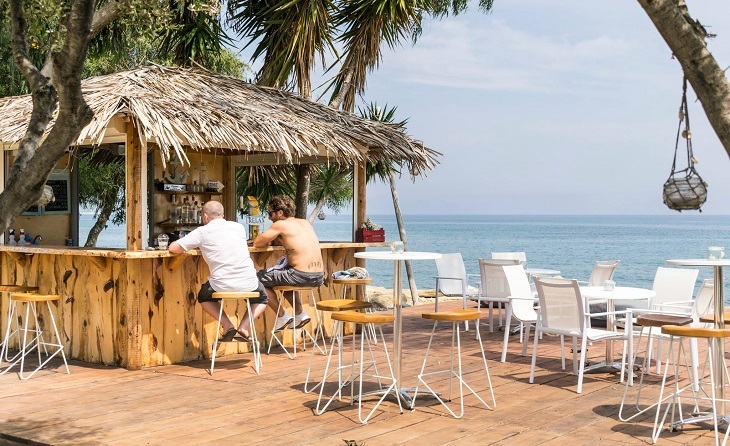 And although a seemingly never-ending list of hip and snazzy bars open up each season, those looking for a more relaxed day out with a cocktail in hand may feel a little hard done by. 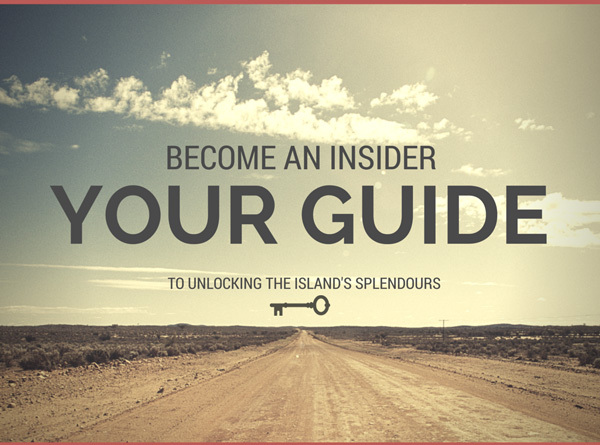 But worry not, the My Cyprus Insider team has narrowed down a list bound to make your quiet summer dreams come true! 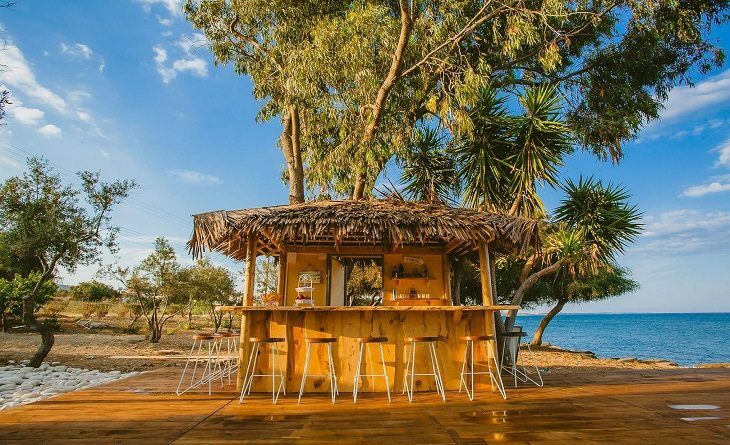 Situated within the idyllic well kept grounds of Elya Beach Luxury Suites , this beach bar in Larnaca’s Ayios Theodoros village is nestled among olive groves and palm trees which command pride of place near the quiet blue seas lapping up against a mixed sand and pebbled strip. 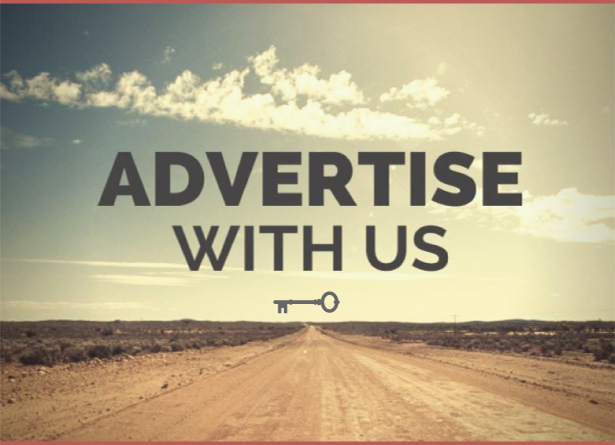 Located away from the busier main Larnaca beaches – just off Ellados Avenue – the area beside the bar features a large grassy area and pool right by a row of pretty rental homes, with a dozen sunbeds right by the water’s edge. Kick back, relax, and make the most of the chilled-out summer vibes! 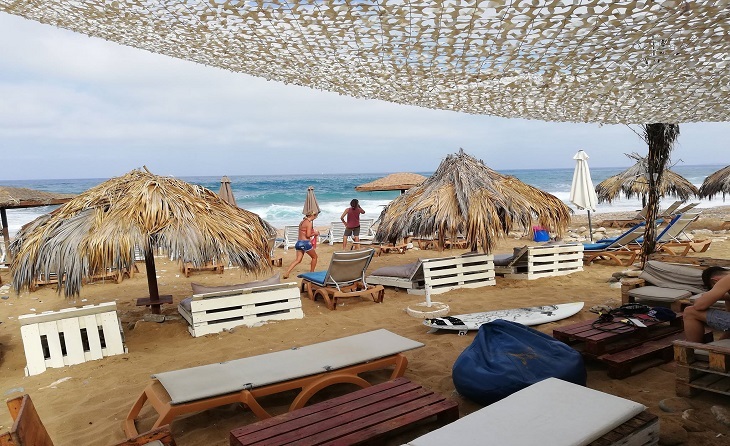 Popular with toned surfers, this place attracts dedicated sporty types hitting the waves, but also beckons chilled out beachgoers looking for quieter sands away from the main Paphos hubbub. 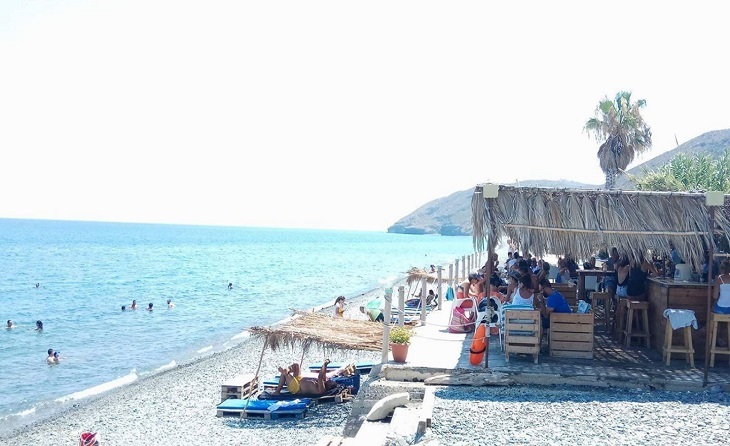 A real hidden gem, follow the signs to this secluded bar and beach along a bumpy dusty road off the main Chlorakas – Lempa stretch. 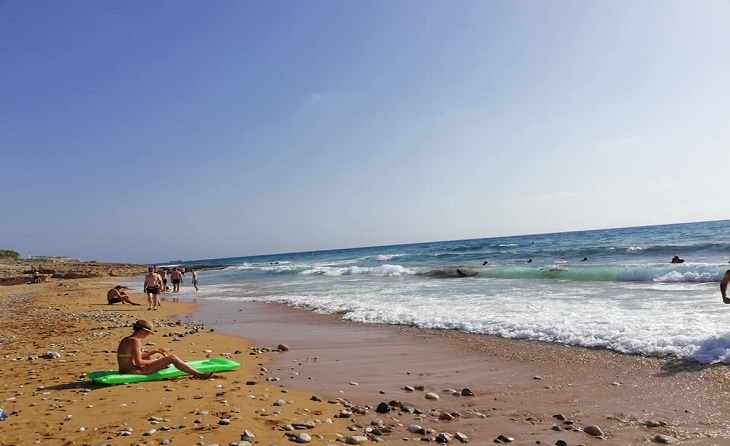 A great place to take a dip in the clear waters, do keep in mind that the bay is prone to great waves and rip currents, so don’t swim out too deep. 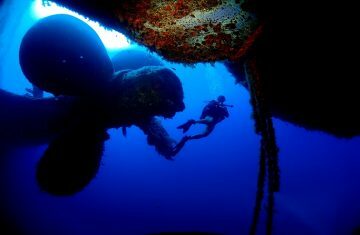 And once you’ve cooled off? 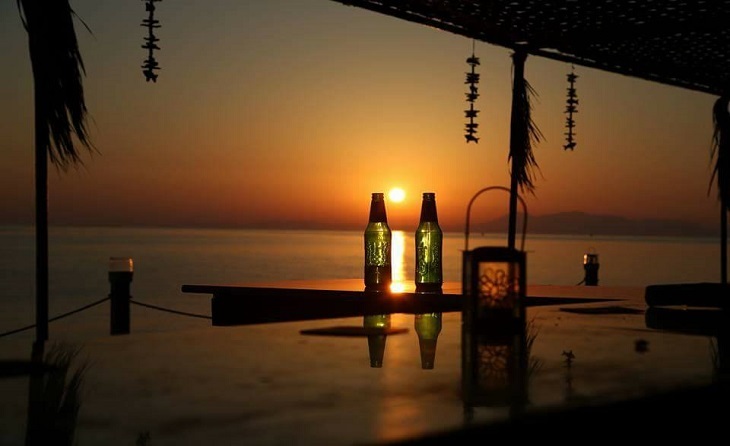 Enjoy a sundowner as the evening sets in, and do keep check of the bar’s Facebook page for music on the beach and yoga events. Commanding a truly magnificent spot on the north-west of the island, you have to drive past the seaside village of Pomos to the get to Grape by the Sea , all the way along the winding coastline and through roads less travelled that etch across the undulating countryside that lead you to the blissfully peaceful village of Pyrgos Tyllirias (Kato Pyrgos). 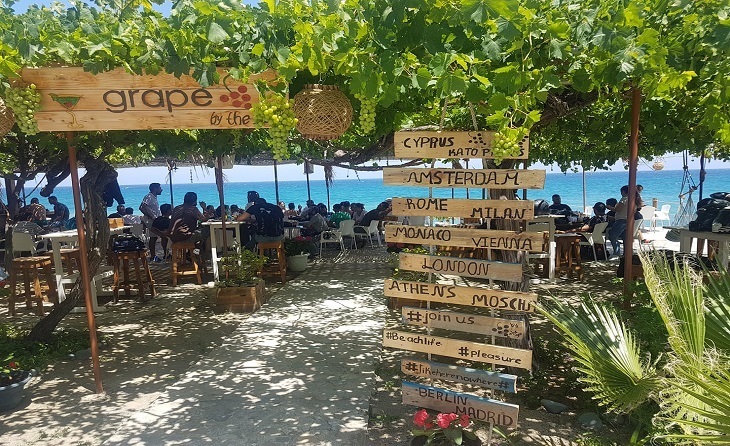 The location of the bar and restaurant is incredibly dreamy, with tables and chairs hidden under a shaded area on a slightly elevated space right by the sea. 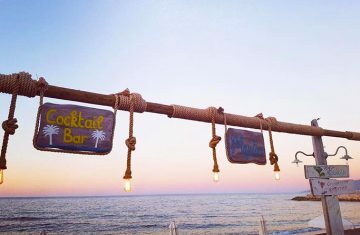 Sit on a stool by the bar to indulge in a cool cocktail (their mojitos are a big hit) and enjoy the panoramic views across the deep blue, or have a bite to eat, with club sandwiches, pork chops, salads and more on the menu.